The biography for pharmacists provides a way for you to promote your skills and abilities effectively and inexpensively. It establishes your credentials in the field and can be used to let potential employers know why they should consider hiring you. Biographies differ from resumes in that they provide an overview of your career focusing on highlights and strong points. The most common purpose of the bio is to generate enough interest in potential employers that they will want to learn more. However it can also establish that you have the necessary qualifications to speak knowledgeably about the field or author papers or books on the subject. There are a couple of things you must consider before you begin to write your biography. One is what specific purpose do you intend the bio to perform. The second is who the intended audience is. Both will influence the information you include as well as how you present the material. It isn’t possible to include all of your relevant information, so you must select that which best helps you achieve your particular purpose. Introduction: Provides your name and who you are (pharmacist). It may also include your current position and what all that entails. Employment history: Discuss previous positions you have had that are relevant to your purpose beginning with the most recent first. If it isn’t relevant don’t include it. It isn’t necessary to explain gaps in your employment history here. Accomplishments: Discuss any awards or special recognition you have received in the field. You can also include any industry related organizations you are a member of. If it is relevant to your purpose mention any papers you may have had published. Education: Provide where you received your degree and where you received you completed your undergraduate studies. Personal information: Depending on the circumstances you may want to include one or two sentences of personal information. This could be an interesting hobby or something else that allows the reader to relate to you as a person. Don’t get too personal and avoid controversial topics. Contact information: How you can be reached. A phone number and email address is pretty much the minimum. The biography should be no more than one page. Half a page is often enough depending on how the biography is to be used. It can be difficult to write your own biography. If you are unsure of the best way to approach it you may want to consider a professional service like the one we provide. 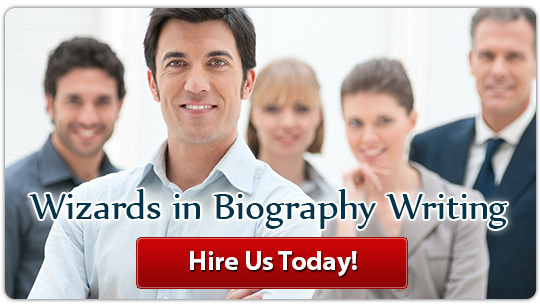 Our company provides biography writing services for any field and purpose whether it’s pharmacist or chiropractor biography that you need. 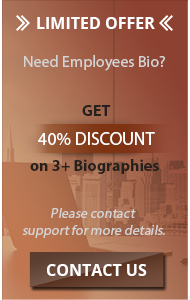 Completely original biographies: Every biography is originally written and tailored to fit the client’s requirements. Guarantees: We guarantee that the bio we provide will meet with your complete satisfaction and be delivered on time. Affordable: Our rates are inexpensive and will fit even tight budgets, and there are no hidden costs to worry about. Contact us for an effective pharmacist biography that creates the impression you want and establishes your professional credentials!